The working world is often now very joyous, to the point where the day-to-day monotony many people experience has become cliché. Having to get up, deal with traffic, and spend eight hours under fluorescent lights and with people you dislike does not warm one to their job. However, there are other options. Sometimes you get to travel, attend conventions, and network at social events. This can take the dryness out of a typical day’s work and make it that much more productive, inspiring, and downright enjoyable. These elements can also be challenging, leading some to make an effort to work harder. If you’re an online business pro, you may experience this more so than pros in other fields. With the advancement of technology has come an increase in freedom, and with it the chance for online business pros to break their old habits of working life. In online business, it truly can be pleasure before business, or even both at the same time. By taking control of your online business tools, you can create a working environment with less boredom and more excitement—it’s all about knowing your options. 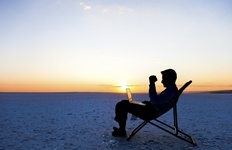 First off, never forget that in online business, you always have the ability to work remotely. These days, that means working from just about wherever you want, so long as you have a laptop (or even a smartphone) and a good Wi-Fi connection. If you’ve got a web site, you can fix nearly every problem remotely, from interlinking errors to meta tag mistakes to new SEM programs, from practically wherever you are. This serves as a reminder of the true freedom you have to control your business. Online business is a good excuse to travel more. It’s beneficial to get into the habit of attending industry-related conventions, events, and socials, but you should also pay close attention to events that have something to do with online business itself. Be it a seminar on new competitive keywords programs, a class about new meta tags or design media, or some sort of SEM development conference, it’s in your best interests to attend. And while you’re there, take it seriously: attend the events, take lots of notes, and network your tail off. You may meet people who would make great new partnerships, and since you might never see them again, it’s a good idea to speak at length with them. Consider going out for dinner with them to discuss things less formally; that’s when you can finally goof off a bit. The jury’s often out regarding how to properly juggle business and pleasure while on vacation, but that you can do both is undisputable. Just bring the right tools with you—but be mindful of your spouse, as making business deals when you’re supposed to be having a romantic night out can land you in hot water. On a more serious note, if you have the ability to keep working, or even just do a bit while gone, then do so. Even just performing daily duties from your hotel room before hitting the beach can keep your business rolling along nicely. It never hurts to plan your vacation so you can make a contact or two in-between golf games or underwater expeditions. Online business today is really unconstrained, and the sooner you realize this, the sooner you can have the best working holidays possible.